11:59pmET: I was just re-watching the CIN-GB game. Oh, it's on with Joe Mixon -- this is probably your last week for bargains. Wow...he's going to be something and you can kiss the other two (Gio-Hill_ good-bye. They've made the switch to Mixon already, essentially. Mixon looked like 'wow'...a lot of near-miss greatness plays, shoestring tackles, etc. 6:15pmET: For what it is worth because his name has popped up more than anyone's today -- DeMarco Murray is not in a timeshare with Derrick Henry. I mean Henry is going to play for sure, but Murray is clearly the lead guy (48-30 snaps Week 3). He's not going anywhere. He had a hamstring issue that held him back Week 1 and then they blew out JAX Week 2 so he rested some still with the issue. Week 3, in a week where Murray wasn't sure to play and Henry outscoring him...Murray started and locked down this game with a big TD run. I'm not advocating any moves for Murray, but you don't have to give up on him like he's some backup. 4:30pmET: When the Eagles say any RB is in for a bigger role, just block it out. I like Wendell Smallwood as OK as the next guy, but I don't to dive into that Philly backfield unless I have to. Lost Cairo Santos -- Greg the Leg!! 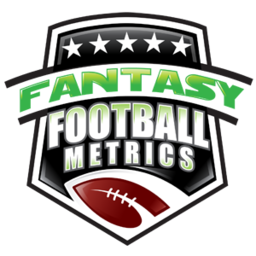 Week 4 Projections version 1.0 will be posted somewhere between 7pm-830pm ET...my guess is closer to 8pmET. 12:24pmET: I go away to eat lunch for like 30 minutes, and I come back to several emails of 'suddenly the Tarik Cohen owner offered me that same deal I proposed last week but they rejected'. I'm telling you the fantasy experts are all turning on Cohen because of Jordan Howard's big game because they are totally morons. Last week, Cohen was the 'it' RB1 of the week and they didn't know why, but now he's an RB3 backup to Howard. Please, for the love of all things holy...go get him but only pay an RB2.5-3.0 price. Get him in every format. Feel free to tell these people you don't know now about wanting him now...now that he's just a backup...heh-heh. Drive the price down, but get out of there with a deal!!! Chris Thompson for Cohen -- done and done. It's happening. I've seen that deal happen twice today in PPR. Football only exists in what happened last week. Had Cohen scored that OT TD and not Howard, Cohen would still be an RB1.5 for them...that's how out to lunch people are on Cohen. 11:20amET: Travaris Cadet is working out for the Jets...which means Matt Forte is going bye-bye for a bit and Bilal Powell RB 1-2 PPR hopes and dreams are back on. 10:59amET: If Doug Baldwin goes down, I know everyone will want to rush to Paul Richardson...and that's acceptable, but this might mean Tyler Lockett re-arrives. -- We're working on different things on the new website, but note there are only three places new articles/work will show up.